Mulryjewels will be appearing at the DUMBO Flee on August 2nd, 2009. More specific details to follow in the next week or so. Congratulations on your blog! Have fun at the Flea. Mulryjewels featured at Summer Recital! 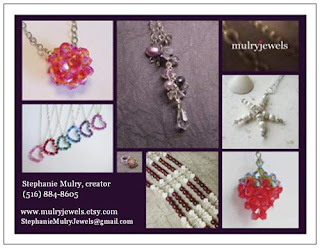 MULRYJEWELS is ONE year old! !